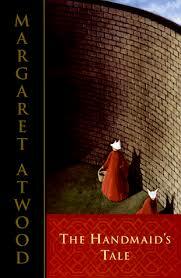 Cover of The Handmaid’s Tale by Margaret Atwood. Here’s another book I love, and one I’ve read many times. This month I started with some difficult books but finally remembered to reach for the tried-and-true, since February is hard enough without reading emotionally draining books. 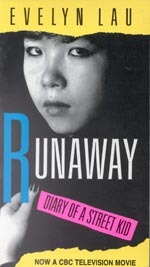 I guess this one could be seen as a difficult book, given that it’s a dystopian story about one woman’s experience in a repressive religious society in which women are severely oppressed based on their gender, while the country is at war on the outside, and controlled by a secret police on the inside. This entry was posted in Everything, Reading Books and tagged Barking Back, book review, books, dystopia, fiction, women writers on 27/02/2016 by nissetje. With a clump of snow on her adorable nose. 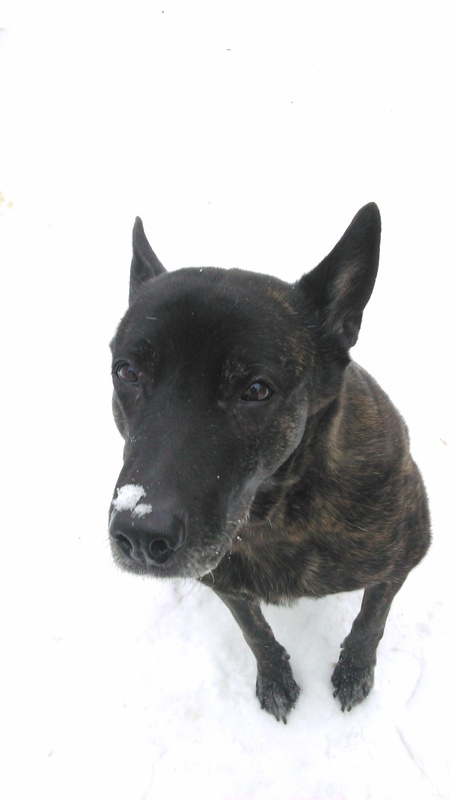 Ten years ago this month, when she was only two years old, the Brindle Dog developed a mast cell tumour in her neck. I remember very clearly the moment I first felt it, when she and I were playing and I was rubbing and tugging at the sides of her neck. She was wiggling and wagging, and I was laughing. Under my fingertips, I felt a lump deep in the left side of her neck and I thought that’s weird, I don’t recall that dogs are supposed to have a bump there, and at the same time I was reaching for the other side to see if it was bilateral. No, it was not. No matter how hard I poked and prodded, I could not find a corresponding lump on the right side, and my heart sank. I felt a deep fear in my belly and called the vet right away to make an appointment. This entry was posted in Dogs, Everything and tagged Barking Back, cancer, dog, good dog, grief, old dog, sick dog, tumour, vet visit on 25/02/2016 by nissetje. 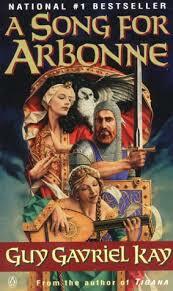 Cover of A Song for Arbonne by Guy Gavriel Kay. This is maybe my sixth or eighth time re-reading this book. It’s one of my “feel-good books,” a go-to when I am feeling the need for both entertainment and the comfort of the familiar. Some people watch movies over and over to get this, but for me it’s books. Kay’s books tell stories I enjoy in a way that I like. The storylines linger on relationships between people and how influential those relationships are, but there are also politics and wars and romances and magic and intrigues. I always like Kay’s imaginary worlds; Arbonne and its neighbouring countries are no exception. This entry was posted in Everything, Reading Books and tagged Barking Back, book review, books, fiction on 22/02/2016 by nissetje. This was a disturbing book. Evelyn Lau writes about her experiences living on the street after running away from home at the age of fourteen to escape her abusive, controlling parents. This entry was posted in Everything, Reading Books and tagged abuse, addiction, Barking Back, book review, books, childhood, family, memoir, nonfiction, women writers on 18/02/2016 by nissetje. This entry was posted in Everything on 14/02/2016 by nissetje.